You can only use the following effect of "Junk Changer" once per turn. 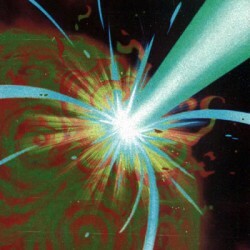 If this card is Normal or Special Summoned: You can target 1 "Junk" monster on the field, then activate 1 of these effects; :- In..
During either player's turn, when your opponent activates a card or effect that would inflict damage to you: You can send this card from your hand or field to the Graveyard; negate the activation, and.. Cannot be used as a Synchro Material, except for the Synchro Summon of a DARK Synchro Monster. If you control a Tuner monster, you can Special Summon this card (from your hand). If this card is Normal..
1 Tuner + 1 or more non-Tuner monsters. When this card is Synchro Summoned: You can draw 1 card. You can only use this effect of "Stardust Charge Warrior" once per turn. This card can attack all Speci..
(This card's original Level is always treated as 12.) Cannot be Synchro Summoned. Must be Special Summoned (from your Extra Deck) by sending 2 Level 8 or higher monsters you control with the same Leve..
2 Level 4 WATER monsters. When any player's monster declares an attack: You can detach 1 Xyz Material from this card; all monsters your opponent currently controls lose 1000 ATK until the end of this ..
2 Level 8 monsters. Once per turn, during either player's turn, when a Spell Card or effect is activated on the field: You can negate that effect, and if you do, attach that card to this card as Xyz M..
2 Level 10 monsters. All monsters you control gain ATK and DEF equal to the difference between your LP and your opponent's. While this card has Xyz Material, each time your opponent Special Summons a ..
2 Level 11 monsters. You can also Xyz Summon this card by using a Rank 8, 9, or 10 DARK Xyz Monster you control with 2 or more Xyz Materials as the Xyz Material. (Xyz Materials attached to that monste..
2 Level 12 monsters. You can also Xyz Summon this card by using a Rank 10 or 11 DARK Xyz Monster you control as the Xyz Material. (Xyz Materials attached to that monster also become Xyz Materials on t.. If you control a monster with 2400 or more ATK and 1000 DEF: Target 1 Set card on the field; destroy it. You can banish this card and 1 "Monarch" Spell/Trap Card from your Graveyard, then target 1 Set.. If a monster you control attacks a monster whose ATK is higher than itself during damage calculation: Your battling monster gains ATK equal to the difference between your LP and your opponent's, durin..
Target 3 monsters in your Graveyard; Special Summon all 3, but their effects are negated. Immediately after this effect resolves, Xyz Summon 1 "Utopia" or "Utopic" Xyz Monster using only those 3 monst..
Special Summon this card in Defense Position as a Normal Monster (Warrior-Type/DARK/Level 4/ATK 0/DEF 300). (This card is NOT treated as a Trap Card.) If you have no Trap Cards in your Graveyard, you .. Send 1 "Phantom Knights" Spell/Trap Card from your Deck to the Graveyard. When an opponent's monster declares a direct attack while you control no cards and this card is in your Graveyard: Special Sum..
Special Summon this card in Attack Position as a Normal Monster (Warrior-Type/DARK/Level 3/ATK 0/DEF 0). (This card is NOT treated as a Trap Card.) During your turn, except the turn this card was sent..
During either player's Main Phase or Battle Phase: Target 1 monster in your Graveyard with 2400 or more ATK and 1000 DEF; add it to your hand, then immediately after this effect resolves, you can Trib.. When an opponent's monster declares a direct attack: Negate the attack, then you can apply the rest of this card's effect. Banish 1 Tuner monster and any number of non-Tuner monsters from your Graveya..
Banish 1 "Red Dragon Archfiend" Synchro Monster from your Graveyard, then target 1 "Red Dragon Archfiend" Synchro Monster you control; its name becomes the banished monster's original name, and replac..
2 Level 6 monsters / You can also Xyz Summon this card by sending 1 "Burning Abyss" monster from your hand to the Graveyard, then using 1 "Dante" monster you control as the Xyz Material. (Xyz Material.. When this card in your possession is destroyed by your opponent's card (by battle or card effect) and sent to your Graveyard: You can target 1 monster they control; destroy that target, then you can S.. When this card in your possession is destroyed by your opponent's card (by battle or card effect) and sent to your Graveyard: You can target 1 Spell/Trap Card they control; destroy that target, then y..
During either player's turn: You can banish this card; Special Summon 1 Level 4 or higher "Kozmo" monster from your hand. You can only use this effect of "Kozmo Farmgirl" once per turn. When this card..
During either player's turn: You can banish this card; Special Summon 1 Level 5 or higher "Kozmo" monster from your hand. You can only use this effect of "Kozmo Goodwitch" once per turn. Once per turn.. If this card is Normal or Special Summoned: You can target 1 Spell/Trap Card on the field; destroy it. If this card is destroyed by battle or card effect and sent to the Graveyard: You can banish this.. Cannot be targeted by an opponent's card effects. During your Standby Phase: Gain 1000 LP. If this card is destroyed by battle or card effect and sent to the Graveyard: You can banish this card from y..
During either player's turn: You can banish this card; Special Summon 1 Level 3 or higher "Kozmo" monster from your hand. You can only use this effect of "Kozmo Strawman" once per turn. Once per turn:..